Our Trinity Automotive team is dedicated to auto repair and to serving you with quality & value. Get to know our experienced mechanics. We have the tools, skills, and a desire to help. 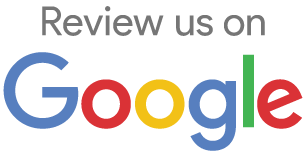 Come see why no shop is as friendly, qualified, or convenient as we are. We started Trinity Automotive in our driveway in 2014. 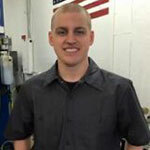 With Dave’s skills as a mechanic, Jess’s knowledge of customer service, and a mindset and vision for providing honest, accurate, and affordable automobile repair for our customers. We have a heartfelt passion for working on cars and reaching out to our community. We are honored to serve our friends, family, and neighbors. 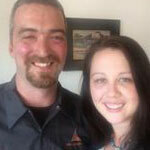 Brad is one of our experienced technicians and has been a member of our team longer than anyone. He also has served in the US Army Reserves and was a reservist for 6 years. Brad loves working on all makes and models but mostly enjoys the Europeans. 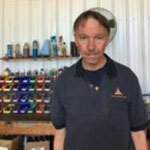 Mike has been an automotive technician since 1972 and has been Master Technician and L1 certified since 1988. He’s been married to the “girl next door” for 41 years. Mike loves classic muscle and performance vehicles and is an absolute wizard with diagnostics. We are so happy to have him as a part of our team! Now that you have met our team, take a look at our services we offer!